Hachijojima is a rural-type island off the coast from the megapolis of Tokyo in the Pacific. 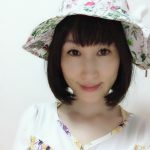 What makes Hachijojima interesting is that it is ideal for comparing its trend to a heavily urban environment, like Tokyo’s. 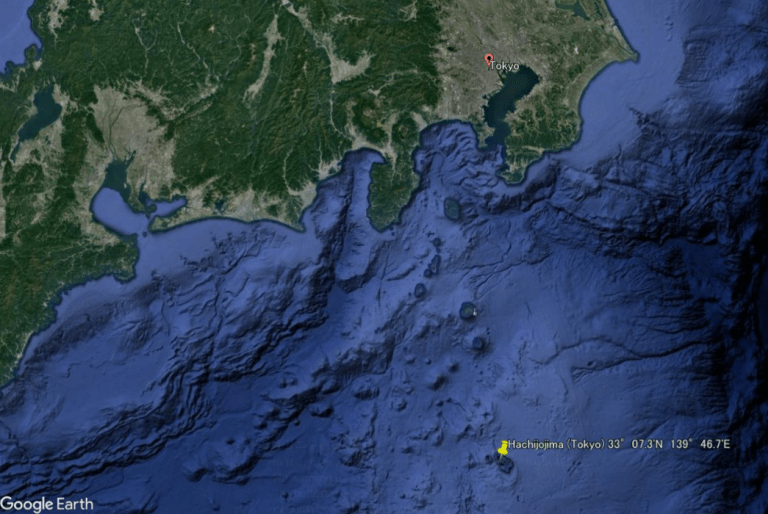 Hachijojima is located roughly 300 km, out to sea, from Tokyo and thus is hardly impacted by urbanization. 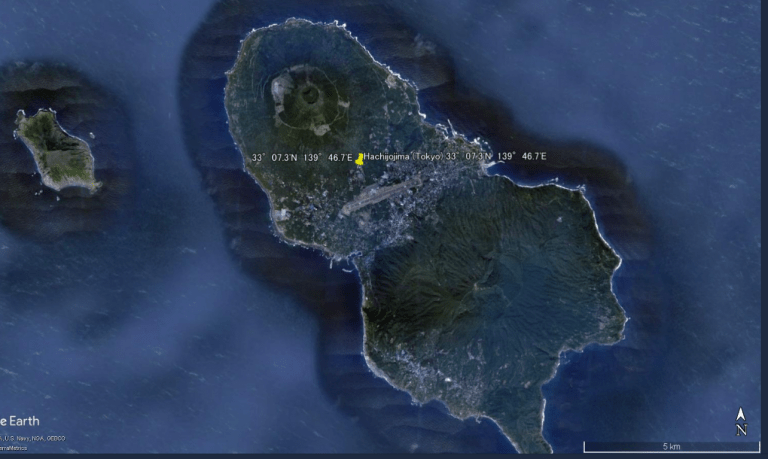 Image: Google Earth. There’s been no trend at all in the mean annual temperature at Hachijojima over the past 70 years! Chart: Kirye. While Hachijojima has seen no only a modest warming trend since 1980, modern urban Tokyo has seen a strong warming. This is very likely due to the urban heat island effect where steel, concrete and asphalt store energy from the sun and fuels consumed by cars, buildings and factories. Chart: Kirye. Click here to enlarge. Chart: Kirye. From 1907 to 1935, the trend for both was very similar, with no rise. Then there was a rise for both stations from the 1930s to 1961. Note how in this period Tokyo temperature rose more quickly than Hachijojima. Next came the cooling of the the 1960s, 1970s and early 1980s, followed by the most recent warming. 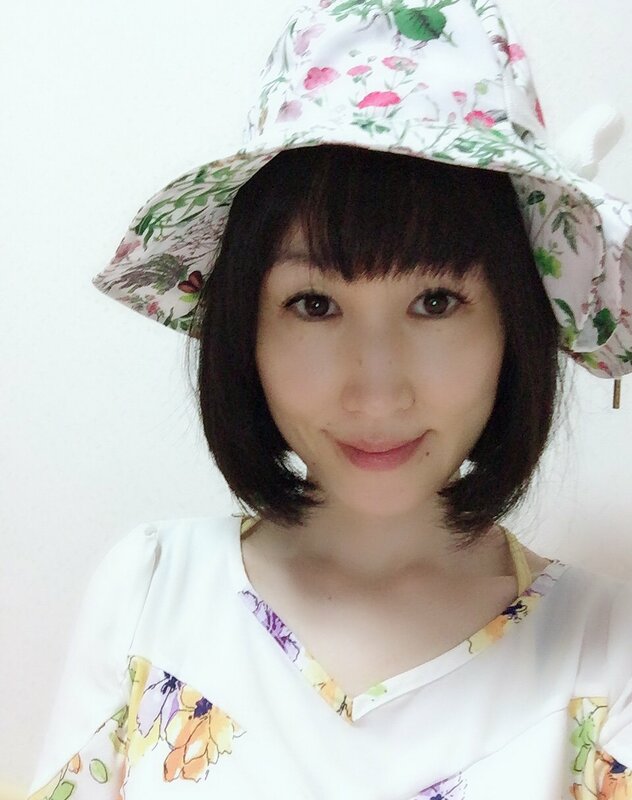 Tokyo warms, while rural island cools! 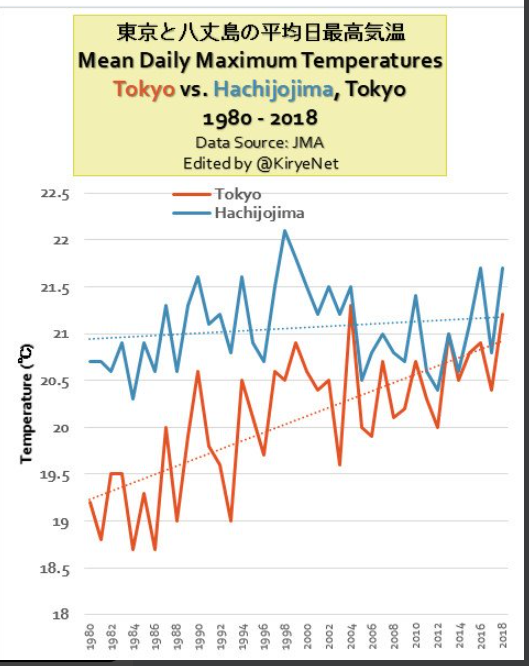 Note how the most recent warming since the 1980s has been far stronger in Tokyo then it has been in rural Hachijojima. Tokyo, once significantly cooler, is about as warm as Hachijojima today. 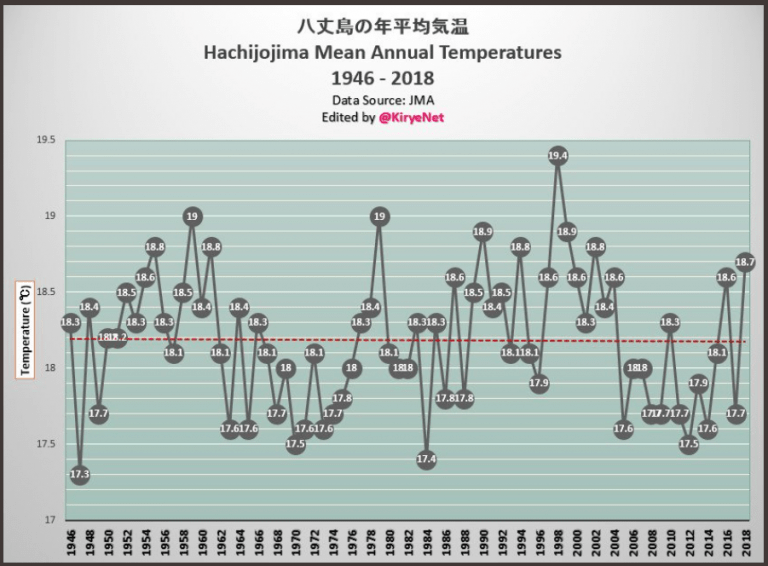 And since the peak in 1998, Hachijojima has been cooling a bit while Tokyo has been warming! Can all this be explained by CO2? Honestly not. Obviously the urban heat island (UHI) effect is the real driver in Tokyo and is corrupting urban data, while natural ocean factors may be at work to account for the difference as well. Ok … I always attributed that extra heat island effect due to the presence of Haruna Kojima .